I find that some of the most difficult moments of special needs parenting occur when things are quiet. I am seductively lured into a false and addictive belief that, as a family, we have achieved some kind of normalcy. For a moment, the rancid and toxic air that is our life, clears, I drop my warrior-like vigilance and begin to breathe the cool, clear oxygen. 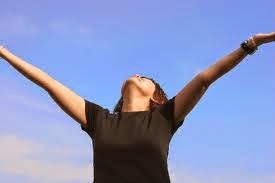 The refreshing air fills my lungs with a powerful force and I am rejuvenated, happy once again to be a parent like any other. It is at these times of unusual quiet, when my heart becomes most vulnerable. It is when I am sailing serenely through life's doldrums when I am most often viciously attacked. Like a victim of a drive-by-shooting, I have been targeted. A single bullet fired from an anonymous attacker sails powerfully toward me and hits me squarely in the chest. For a moment, my heart stops its life-sustaining rhythmic beat. 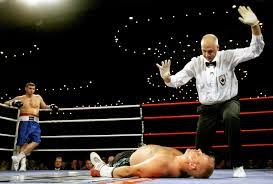 And like a prize fighter stunned by the force of a single, strategically placed blow, I drop. 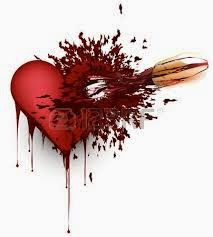 Yesterday, my heart was the victim of a yet another one of these hit-and-run attacks. It has been a chaotic year for our family. We have been plagued by many unusual medical issues and difficult school placement negotiations. We looked forward to summer and the slower pace that accompanies it. 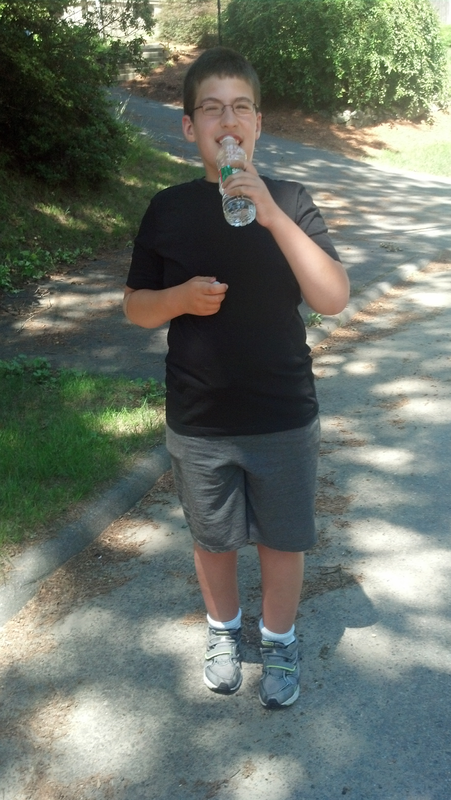 To relieve our stress, Nicholas and I spent much of our summer vacation meandering aimlessly throughout our quiet neighborhood, walking and talking quietly together. The philosophy of "nothing to do and all day to do it" served us well throughout the summer and we learned to relax. This week however, we have begun our preparations for Nick's new school year. One of them, to instill a more militant food security procedure in his classroom. Nicholas and I decided that we will buy him his own lockable cabinet for school. In it, he will place his lunch. I will separate his meal into six separate snack bags. On every hour (9 am, 10 am etc) he is allowed to choose one bag and eat its entire contents. This allows him to be eating all day and minimizes the "when is it snack time?" questions for the teacher. It is the same principle and technique we use at home. Nicholas loves his daily job of opening and closing our refrigerator and pantry. He loves keys and locks and containers. He loves having a job. He delights in locking everything up securely at night and opening it again in the morning. Nicholas was very excited to incorporate this same food security procedure at school. Relieved, I think to learn he would not need to struggle with his food anxiety in the school environment. I was feeling good about his happy response to this change. I took a big gulp of the cool air. 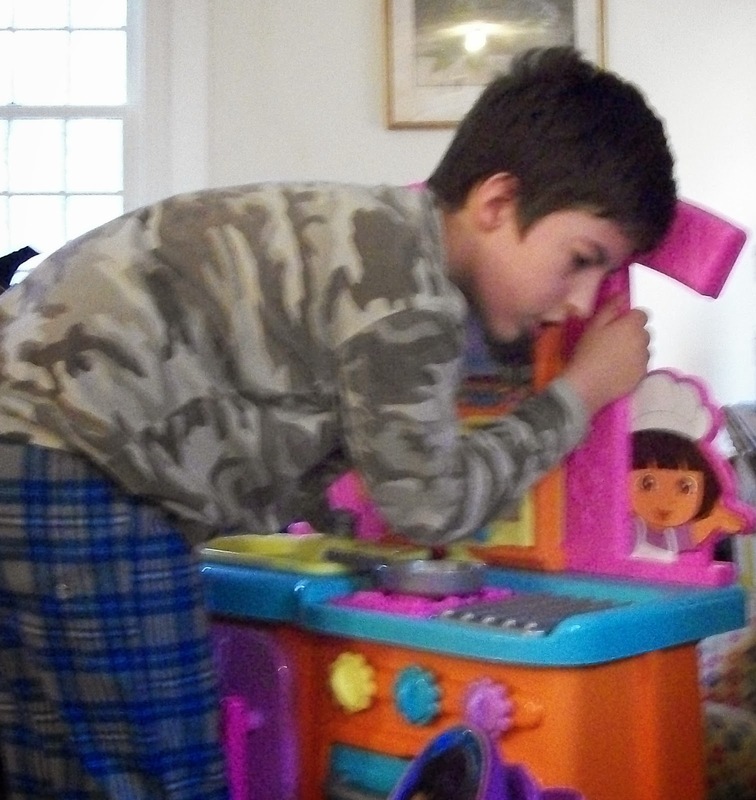 He was so excited about this new procedure, he began to role play with his Dora Kitchen....a toy device we purchased years ago to help alleviate some of his obsession with food preparation. He dragged his pink plastic appliance into my kitchen and set up his work space directly beside our refrigerator. Pretending that he was at school, he opened and closed the doors of his kitchen. Then, quite suddenly, he stopped. He looked at the big fridge and then at his own Dora fridge and noticed quite astutely that something was missing. "We need to buy me a lock for my Dora refrigerator." And my quiet unsuspecting heart took yet another painful blow. To learn more about Prader Willi Syndrome, visit www.pswausa.org. Thank you, we have often compared our lives to the high highs and low lows of a giant roller coaster ride too. best wishes to you and your daughter as you navigate middle school together.